The First Team plays in the Notts Union of Golf Clubs Interclub Scratch League. See the Captain if you would like to play in the First Team, or leave a message with the Pro. You can see more about the Scratch League including fixtures and results on the the Notts Union website. The Second Team plays more social golf against other local clubs in the John Harrison (Lowdham) Summer League and in friendly fixtures. See the Vice-Captain if you would like to play in the Second Team, or leave a message with the Pro. Teams are entered in the Mens and Mixed Interclub Knockout competitions. 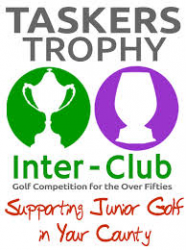 You can see more about the Interclub competitions, including fixtures and results on the the Notts Union website. We submit teams for the Notts PGA Alliance (max. handicap: 16) throughout the winter. Ask in the Pro shop for more details. You can see more about the Alliance including fixtures and results on the Notts Alliance website. We submit a number of teams in the Taskers over 50's competition; an interclub knock out for clubs in Nottinghamshire and surrounding counties that raises funds for junior golf. Each team is formed and captained by individual members, rather than being selected by the club. You can see more about the Taskers competion on the Taskers website.